Did you know that the Radisson Martinique is a pet friendly hotel offering special packages for pet owners and their furry friends? For your Pooch: - Doggie Welcome Bag - Dog Walking Map with list of nearby parks and play areas, resource guide for groomers, pet boutiques, taxi and emergency services. 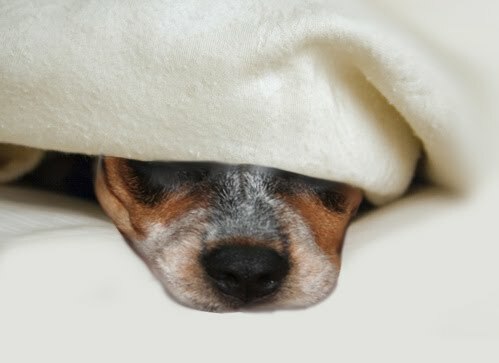 - Privileged Pooch Room Service Menu - Pet Deposit and Fee included in Rate. 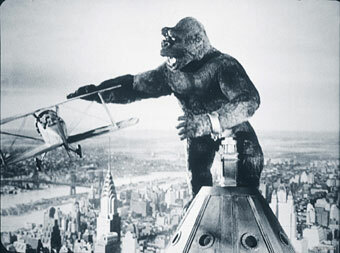 This month in New York City History, King Kong made his famous appearance at the top of the Empire State Building. King Kong opened at the 6,200-seat Radio City Music Hall in New York City and the 3,700-seat RKO Roxy across the street on Thursday, March 2, 1933. The film was preceded by a stage show called Jungle Rhythms. Crowds lined up around the block on opening day, tickets were priced at $.35 to $.75, and, in its first four days, every one of its ten-shows-a-day were sold out - setting an all-time attendance record for an indoor event. 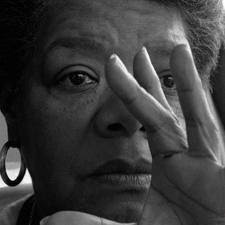 Over the four day period, the film grossed $89,931. Kong did not receive any Academy Awards nominations. Selznick wanted to nominate O'Brien and his crew for a special award in visual effects but the Academy declined. Such a category did not exist at the time and would not exist until 1938. Sidney Saunders and Fred Jackman received a special achievement award for the development of the translucent acetate/cellulose rear screen — the only Kong-related award. King Kong remains a staple in american pop culture and one of the many films to highlight New York City and the Empire State Building. 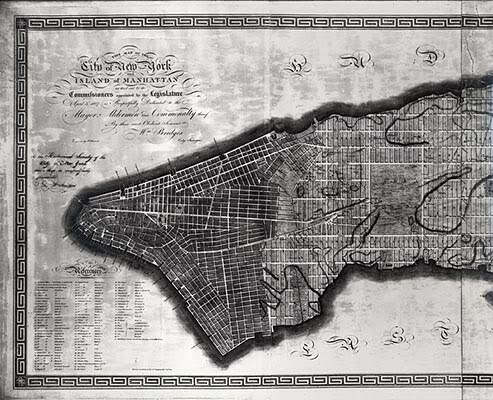 On this date in NYC history a panel is appointed to plan the layout of streets for a growing New York City. Its members will ultimately recommend a grid pattern running east-west and north-south. Manhattan's population was growing so rapidly around 1800 that the state government realized it needed a plan for organizing the land on the island. The government wanted to simplify how land was bought and sold and to promote public health by encouraging "free and abundant circulation of air" between buildings. n 1811, the commission presented its plan on an eight-foot map. It recommended that New York be divided up into twelve avenues running north to south, and 155 streets running east to west. This plan sliced Manhattan into about 2,000 blocks. In the spirit of democracy, the avenues and streets were assigned numbers rather than names.The commission was clearly looking toward the city's future, since fewer than 100,000 people lived in Manhattan at the time. The 1811 grid was planned for a day when the population would be more than a million!